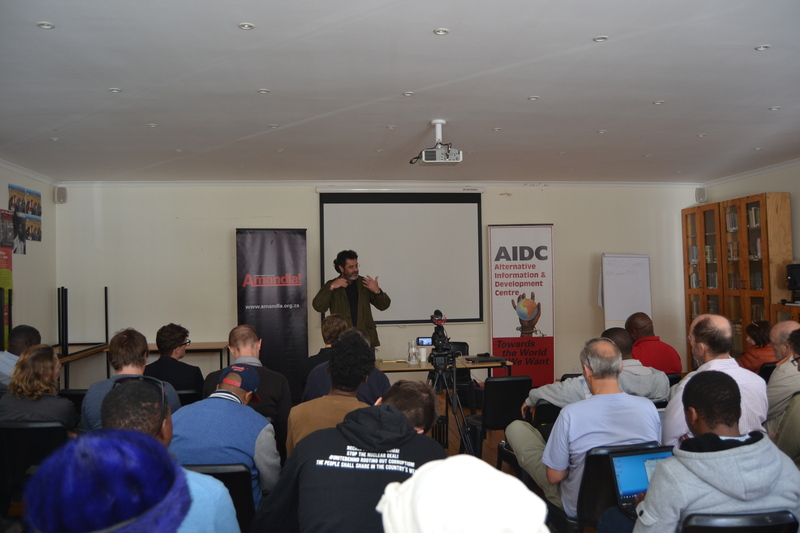 At the latest One Million Climate Jobs monthly meeting, Mark Swilling’s spoke on the political obstacles to a mass renewable energy programme at the AIDC on the 12 October 2017. Here are five points from his presentation. Since then, globally, we find ourselves in an interregnum – leading to a shift in energy systems. 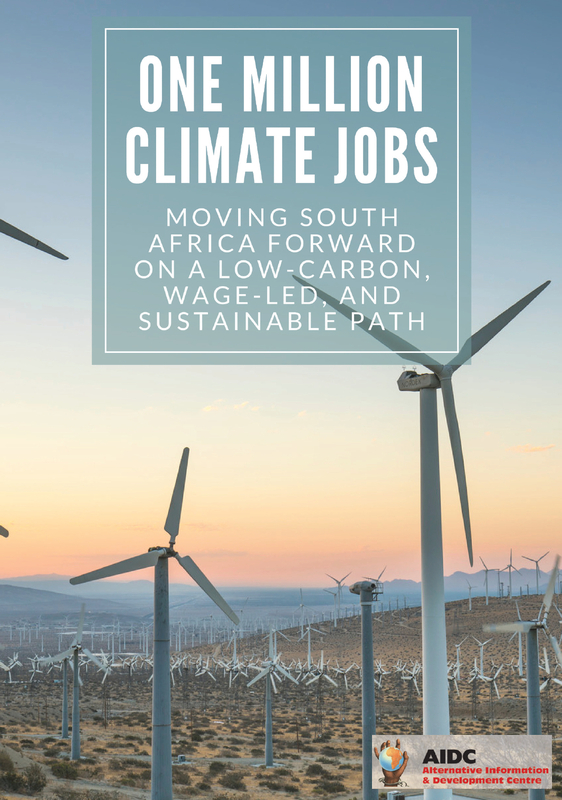 This is because the drivers of the shift toward a new long-term development path are not only concerned with economic issues but environmental issues as well. Calling for new ways of using our resources, signaling the end of the current resource regime that underpinned industrial development. What is not recognized is what underlies this? Swilling argues that this shift is occurring as a result of declining energy retuned on energy invested in oil. This brings me to the second point. Energy returned on energy invested refers to how much energy is required to get a certain amount of energy out of the ground. In the 1930s for example, 1 barrel of oil was required to extract 100 barrels of oil. In comparison to today, where 1 barrel of oil is only able to extract 10 barrels of oil. Decreasing energy returned on energy invested results in increased oil prices which in turn reduces growth and decreases demand. Decreased demand, everything the same, leads to a relative decline in oil prices over time. Ultimately the decline in the ratio of energy returned on energy invested leads to volatility in the oil price and in global growth rates. Hence the global oil crisis is directly related to the declining ratio of energy returned on energy invested. Swilling then went on to highlight the developments in the renewable energy industry in Germany, which he referred to as the German Model. Germany was recently hailed for its recent renewable energy record for the percentage of electricity produced from renewables (Independent, July 2017). Swilling pointed out that what is interesting about Germany, is that 50% of the renewable energy infrastructure is community or cooperatively owned. He mentioned another interesting shift that is taking place in Germany and that is the feed-in-tariffs to the grid. The German model has been replicated in 40-50 countries around the world. South Africa has not implemented the German model as a result of national treasury considering it too risky in the South African context, out of fear that there would be price fixing in favour of certain industries or sectors. Instead government implemented the REIPPPP, which is a private procurement renewable energy programme. This lead Swilling to highlight that even though by its nature renewable energy infrastructure is decentralized, it does not necessitate that it will be under communal control. This can translate into a major problem, and therefore requires us to demand socially owned renewable energy infrastructure. This brings the idea of remuncipalisation to the fore. Therefore, the big question is, how to bring renewable energy infrastructure under communal control. In other words emphasizing the need for a just transition to an energy democracy rather than moving towards a green economy. Finally, on the way forward, Swilling referred to 2 strategies: 1. On forming a broad coalition around policy at a national level and 2. Around the actions and campaigns that we can take up at a local level. On forming a broad coalition, he indicated that it will be critical that we are able to bring organized labour as well as those involved in policy who advocates for or is sympathetic to the idea of a just transition to a low-carbon development path together with environmentalists. 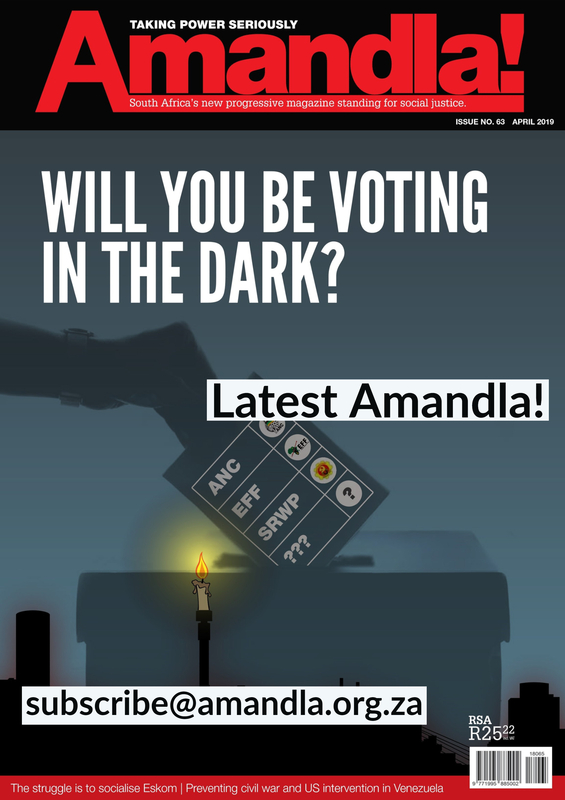 The idea of influencing policy is especially possible because of the internal battles within the ANC. At the same time, we need to be forging campaigns and actions that we take up at a local level around the need to transition to renewable energies. 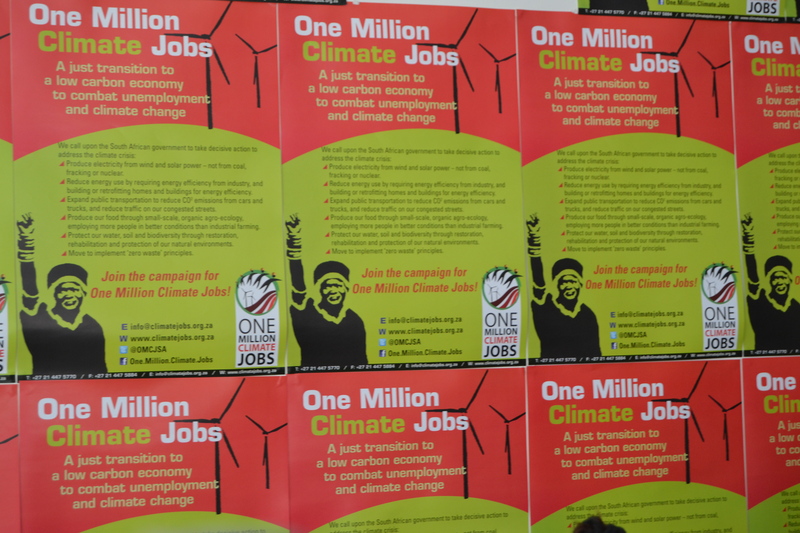 The next Climate Jobs Monthly Meeting takes place on the 16 November at 9:30 at the AIDC Solidarity Centre.